Kitvision has developed three security cameras with a range of features that allows you to watch over your home at every moment: Safeguard, Safeguard HD, and Safeguard 360 HD. The Safeguard security cameras offer you the chance to view live footage from anywhere in the world through your Apple or Android device. Tradelocks is fast becoming synonymous with tool advance and innovation, and once more Tradelocks under their Genuine Brand have advanced the market yet again! And this time it's the humble 8 Cut Tibbe pick that is the focus of their attention. The Tibbe has been used for many years on Ford and older Jaguar vehicles with the latter using the 8 Cut Tibbe as opposed to the more common 6 cut. BQT Solutions has recently launched a new 2 factor Smart Reader with LCD display and a host of features. The BT853 Smart Reader and PIN Pad with LCD has been released in a variety of models catering for all levels of security as the models in the range offer both the trusted miPASS range of card and reader systems, custom key, encryption and format models offering Mifare Classic, Mifare DESFire or Mifare Plus and migration readers allowing seamless migration to higher security. The locksmith business has conformed to technology and is no longer a skeleton key slipping into a hole. Part computer technician, part mechanical engineer, part physicist and all businessman, Joe Eisterhold is in the process of assuming ownership of what is now Park Rapids Lock & Key, three miles south of Park Rapids. His mentor, Ken Smith, has turned the keys over to the former apprentice and Joe is on his own. Well, actually, Ken isn't going far away and will still be a backup hitter when Joe's out on service calls or taking classes. Leading supplier Securikey has further expanded its comprehensive range of physical security products with the new Secure Stor range of security cabinets. Independently tested and certified for ultimate peace of mind, the Secure Stor range is the ideal security solution for storing large, bulky items in commercial environments such as hospitals, schools and retail premises. 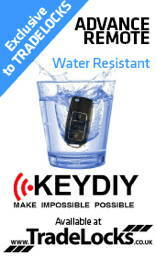 Powered by a laptop, tablet or smart phone connection with USB-OTG capability, it generates the power to charge the key being cloned to read the transponder. The 884 mini is controlled using a free app which is available on the Google Play Store, which acts as a data connection to Keyline's servers. Alternatively it can be controlled using a Windows 7 and later PC with Internet connection! This full-day master class in Guildford, Surrey, will show you how to optimise and localise your international website for new countries and different languages, as well as building a social media plan. Digital Marketing is a cost effective and essential tool in growing overseas sales. Delegates will learn how to create an effective online web strategy to make their companies visible in your target international markets. Hikvision's SMART IP camera range is boosted with four newly added 6 megapixel Ultra HD camera series that provide a total resolution of 3072 x 2048 at full frame rate to deliver spectacular images. This immense field of view means that one 6MP camera covers an area usually requiring several conventional cameras. In the past 12 months, the BSIA has contributed to the development and review of 26 standards, affecting a range of industry sectors including lone worker, CCTV and intruder alarms. Van Crime. An all time high! The first 6 months of 2015 has seen Garrison Locks secure more vans than the whole of 2014. In excess of 3000 orders being placed for van locks and accessories during the first 6 months shows us the crime wave is at an all time high. Simply tearing a hole in the door will allow access to the most vulnerable area of the lock system. UAP Tradelocks constantly strives to update and renovate their catalogue of exceptional products and aim to offer only the finest locksmith tools available on the market. We thought we would give you a bit of a break from 'the norm' in this instalment of the Directors blog, writes Dean Sanderson. 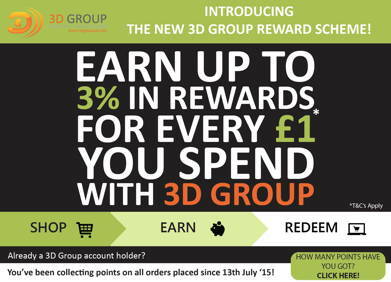 3D Group have experienced great success over the last few years and we thank our customers for that entirely, but when we started out as a small company ourselves it became apparent very early on that promoting your small business with little to no marketing budget is an incredibly important but also a difficult task. We have heard that sadly, the prisoner custody officer who was attacked outside a court in central London has died. Lorraine Barwell, 54, was assaulted on Monday as she escorted a prisoner between Blackfriars Crown Court and a prison van. Justice Secretary Michael Gove said Ms Barwell was "courageous and dedicated." Sunderland-based CCTV specialist, Hadrian Technology, has come to the rescue of a scout group whose gardening project nearly had to be scrapped because of mindless vandals. The 1st Burnmoor Scout Group in Fence Houses, near Houghton-le-Spring, recently installed a polytunnel at their headquarters to help youngsters and schoolchildren in the area learn more about nature and growing plants. Roughly 20 percent of the 245 million surveillance cameras in the world are network cameras that transmit live, often unsecure, feeds online. Anyone with a little skill can access them. Andrew Hammerand did just that, turning a midwestern town's eye in the sky against it for The New Town. Through a simple Google search, Hammerand found a control panel for an unsecure network camera. The device was perched on a cell tower in an unidentified town, and he commandeered it to make photos of the people going about their lives. It's a bit like the The Truman Show, with the stars of the show blissfully unaware they have an audience. Traka, the key and asset management specialist, reports positive feedback from the security industry after attending IFSEC 2015, with an overwhelming response to its integration capabilities. Tradelocks has changed over the last 12 month, and it demonstrated how much it has changed at its Open Weekend. Gone are the cheap Chinese products to be replaced by high quality branded goods from Peterson, Keyline, Genuine Lishi and KeyDIY. And Tradelocks has grown over 30% in the last 12 months as a result of this approach. The annual Lockexpo held every year at The EMCC, Nottingham University has got off to a flying start with over 45% of exhibitors booking their stands in the first week. Commenting Mick Friend the show organiser said "Following on from this year I have set aside the theatre for an additional exhibition area as I feel demand will exceed space in 2016." In 2016 the show will be on the weekend of 27/28th February to avoid Mothers day the following weekend.